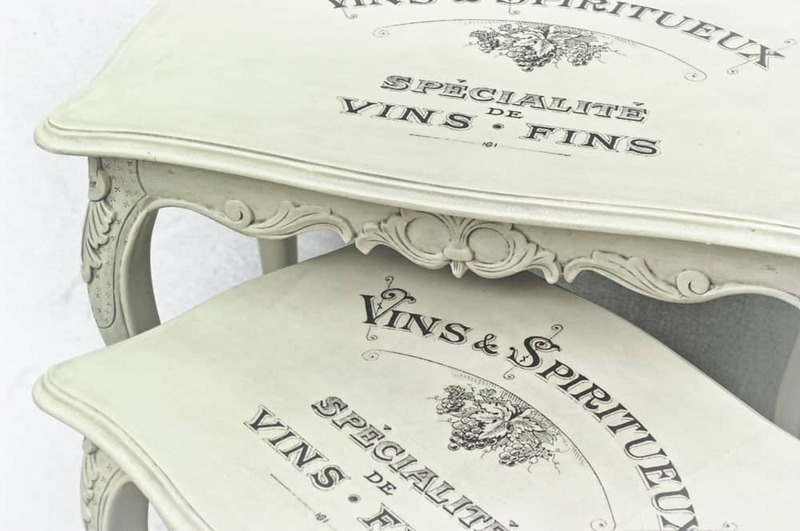 I will show how to achieve Shabby Chic style on furniture by transferring a print on it. Most of the techniques involving print transfer on a flat and hard surface are covered on Graphics Fairy website. I however, would like to show you the way I mastered the most – an inkjet print on water decal. I do not say it is the only way, I do not say it is the best way of doing it either. 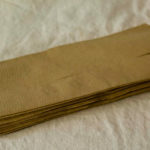 All I say is, you can achieve quite amazing results with this technique, and I will try to explain you HOW TO DO IT, to achieve a results similar to this you can admire on the Shabby Chic Nest of Tables of mine. …it is a plastic layer that has printed on it an image that can be moved to another surface upon contact, with the aid of water. The word is short for ‘decalcomania’, which is the English version of the French word ‘décalcomanie’. The technique was invented by Simon François Ravenet, a French engraver who later moved to England and perfected the process he called “decalquer” (which means to copy by tracing); it became widespread during the decal craze of the late 19th century. Water slide decals are thinner than many other decorative techniques (such as vinyl stickers) and as they are printed, they can be produced to a very high level of detail. 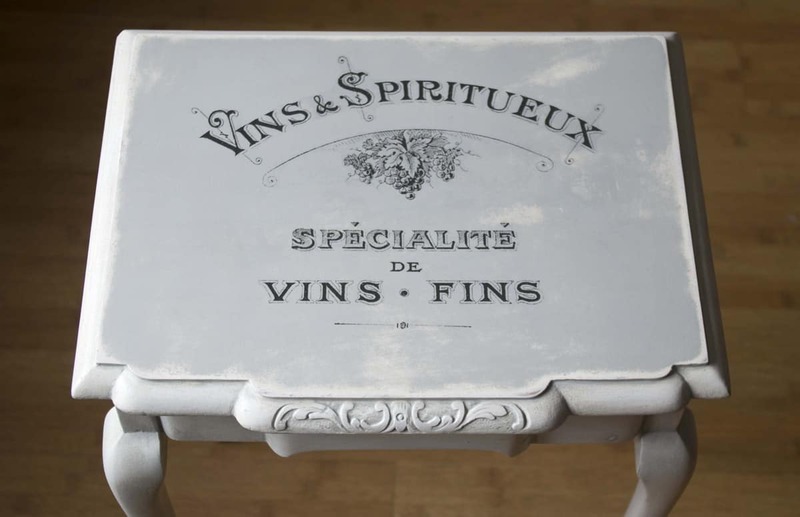 What is good about it – you can use it on any flat surface regardless its finish, you can transfer decal on glass or even onto a layer of polished wax. I. The things you need to transfer the print. 1. 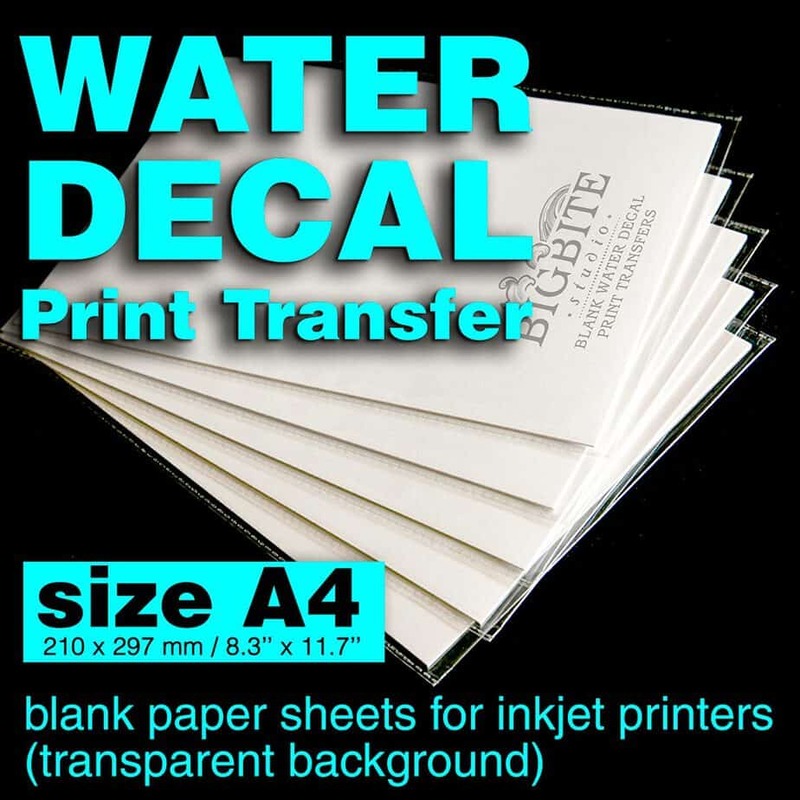 Water decal paper sheets (you can buy it in our online shop). – and they have transparent (not white) background. This one is very important. It was hard for me to find a properly clear varnish. Most of them is slightly yellow-ish and have tendency to get even more yellow during the time. You do not want this, you want a clear, 100% transparent protective coat over your decal and, the most important, over an inkjet print, which is extremely vulnerable to water. 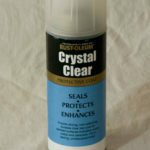 The varnish I use is Rust-Oleum’s ‘Crystal Clear’. It is acetone based, and very smelly. 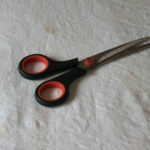 Just regular sharp scissors, fancy enough to neatly cut a paper. I use a regular kitchen equipment. You need a tray big enough to fit you decal in it. You need it to dry the water up from the surface. 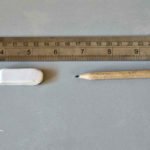 I use the ruler to position a template of the print on the surface, and the pencil, to mark it on the table. 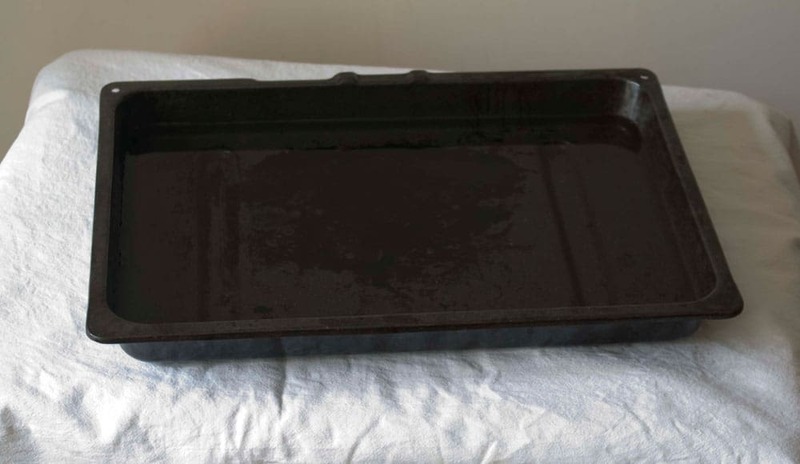 Then role of rubber is obvious – to erase these marks. However, if you do not do symmetrical alignment, you can easily skip this point. Last step after transferring the print is to protect it. 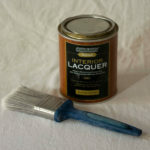 I use Colron’s ‘Interior Lacquer’, the best for me due to its high clear transparency. It does not yellow over the time. I paint using a brush, but a roller will do a job as well. 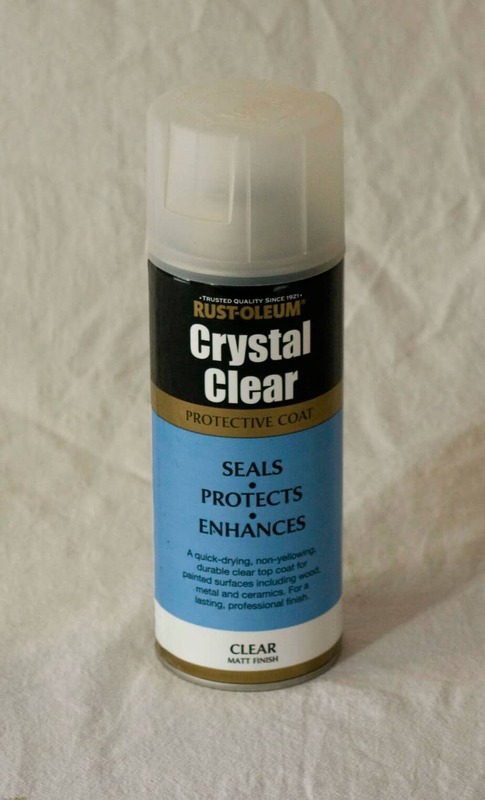 You can use any other medium of your choice: polyurethane or wax. 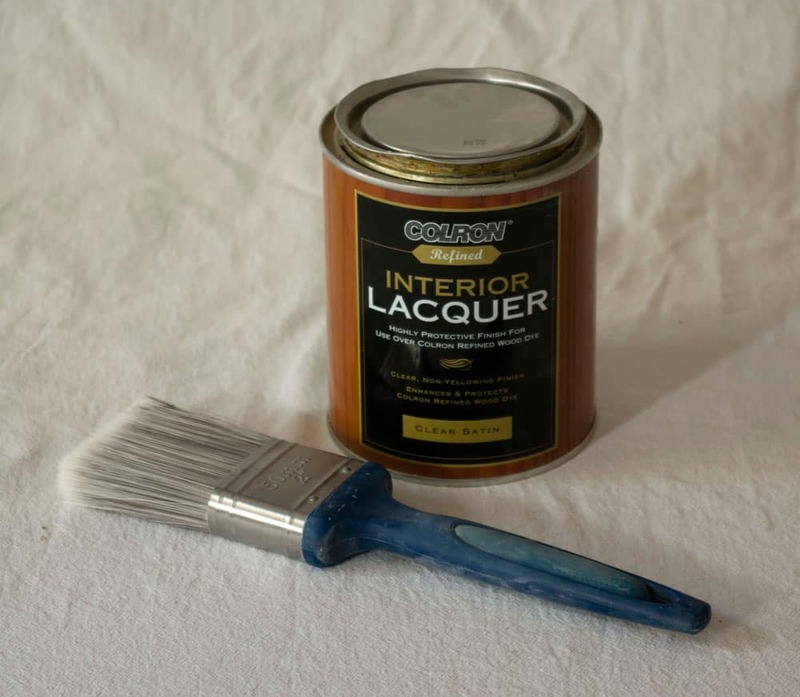 Bear in mind however – if your surface was waxed before, you cannot use a varnish on it, you must protect it by putting another wax layer. 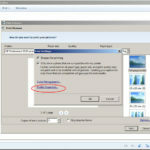 If you have your image already printed, you may want to skip this part of tutorial. Read this if you need to print a transfer for your piece. For the print itself I chose my favourite Graphics Fairy’s French advert. 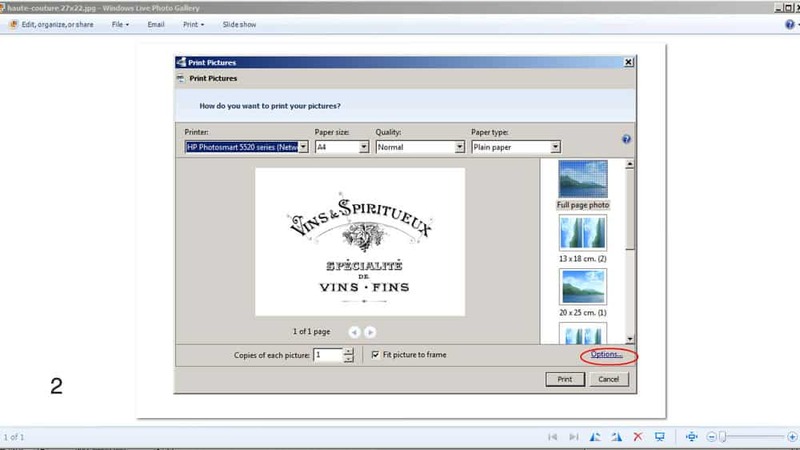 Now you want to set the quality of print (for the best), colour (for maximum black), and choose a paper you will make print on. 1. 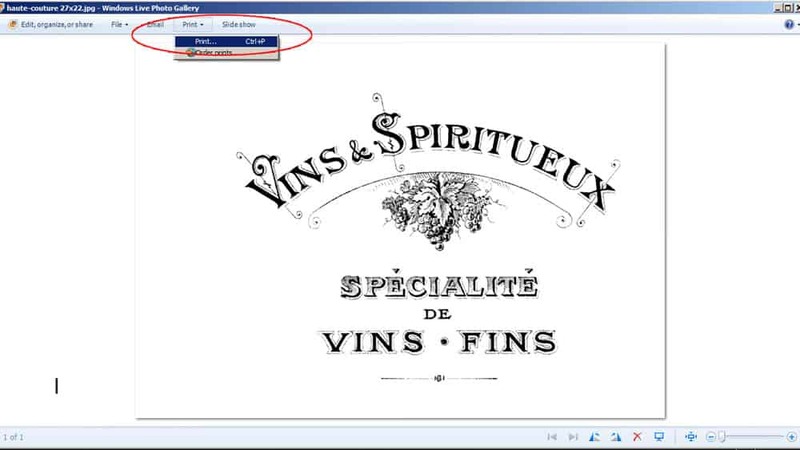 Open your file in your default image viewer. Mine is Windows Live Photo Gallery on Windows 8, but if you use different application, the layout may differ. Basic rules remains the same though. In top bar select Print and then, in selection window Print… again. 2. 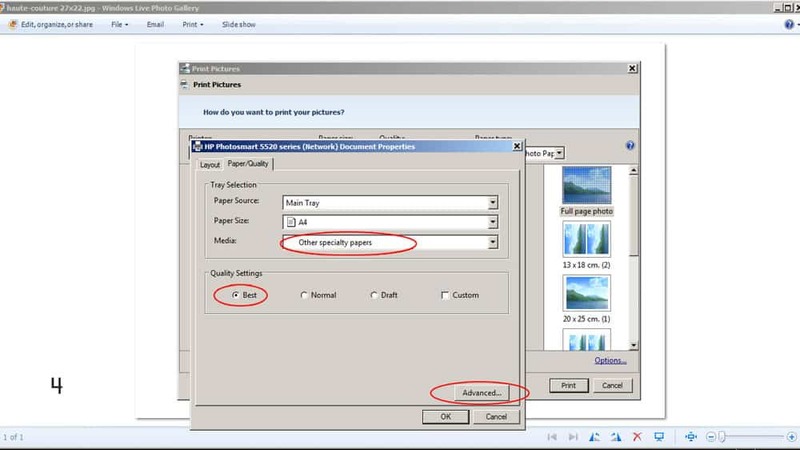 This will get you to the printing settings (a window called Print Pictures), (leave all default) where you click the Options button in bottom right corner. 4. 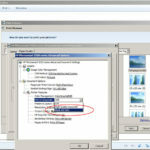 This will lead you to the Document Properties managed by your printer. Make sure you are in the Paper/Quality tab. 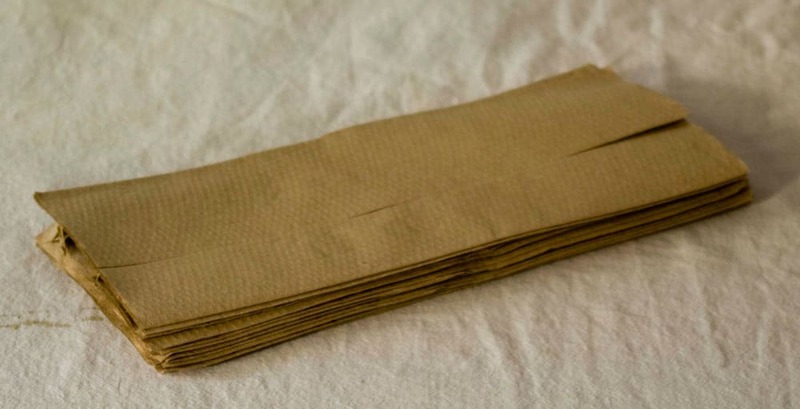 First choose the right sort of paper – from a drop-down menu for Media select Other Speciality Papers. Then select Best for Quality Settings. 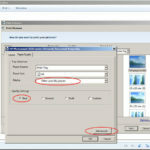 If you are going to print colour image you can finish and apply your settings right now. 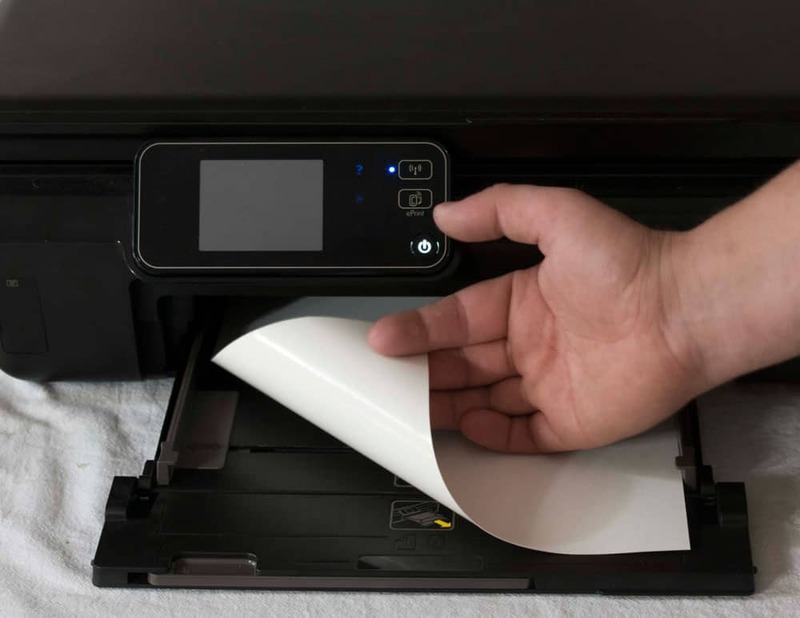 However, if you print black and white image you want to make sure that your printer will use only black ink. To do it go for Advanced settings. 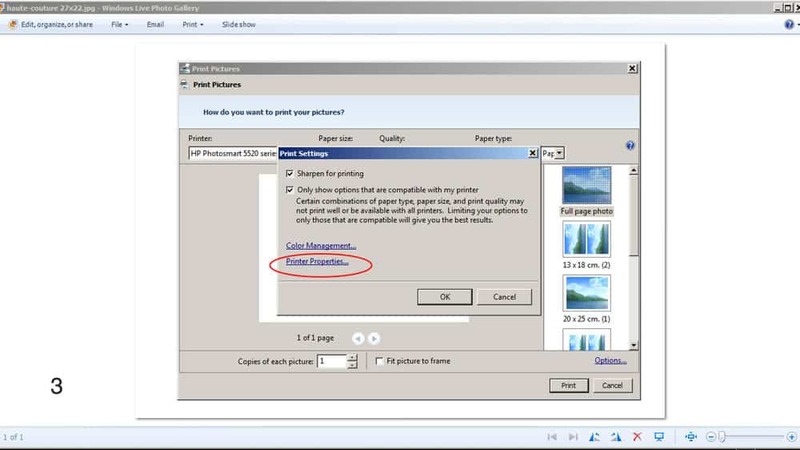 Click OK to close Advanced Settings, then again OK to close Document Properties and then you are ready to print your image. Just before you do this, make sure your water decal sits in the printer facing shiny (printable) side down. 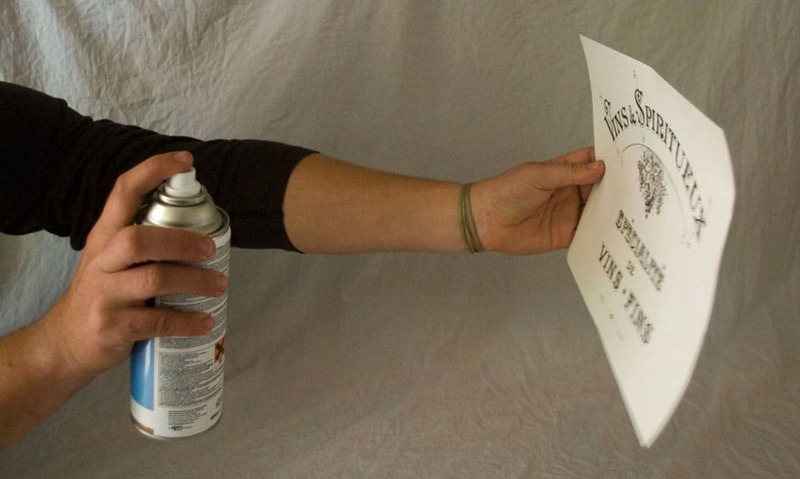 Before you start cutting your decal out, you must spray it with polyurethane varnish. There are two reasons for it. First it is protecting the print itself, without this ink would dissolve in water. 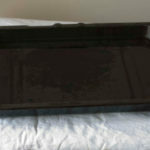 Second – you strengthen this thin plastic layer which will be transferred onto the furniture. The best way is to do it away from your living area, this thing is both smelly and toxic. 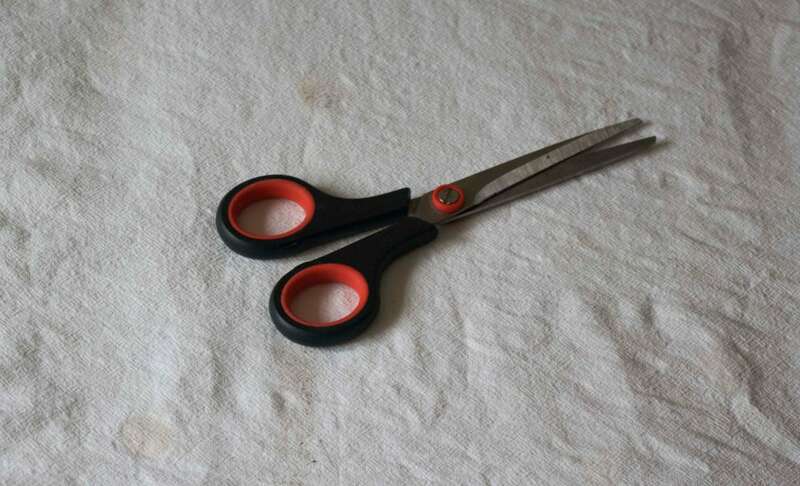 Shake the container vigorously and spray it evenly, keeping 20-30cm distance from your sheet. Let it dry in a warm and dry place, it usually takes around 1 hour. This is end of the first part of tutorial on print transfer with water decals. We have our decals ready to action. Did I mention that you can buy blank water decals in our online shop? Wait a second… I guess I did. In your ‘Printing the Design’ tutorial, you say “make sure your water decal sits in the printer facing shiny (printable) side down” but not all printers print upside-down. After a bit of Googling, I decided to select ‘Photo Semi-Gloss Paper’, in the absence of ‘Special Papers’. 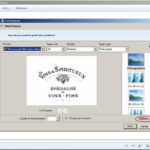 I discovered that while Epson printers are perfect for the job, HP printers were not so good? Could it be useful to see some more information on your tutorial about printing Decals? 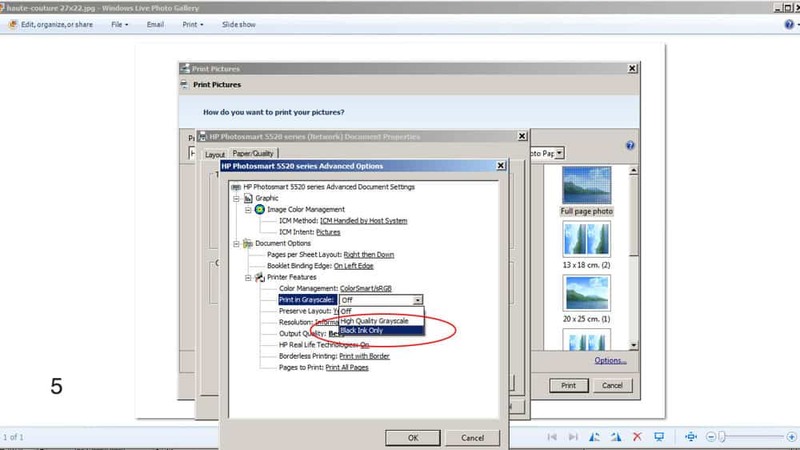 See – https://www.rcgroups.com/forums/showthread.php?2801468-Inkjet-Decal-Paper-Settings-Help – scroll down to the glewis comment. I though that too. It should say make sure the paper is set as the shiny surface will be printed on. I think the setting for OHP transparencies is a good choice.